If you want to be clear about the appearance of something, inside, you must also know how it is made. The process of discrimination against every industry is not dry and tasteless. Today we will take a look at the process of sticker printing and see what is interesting. 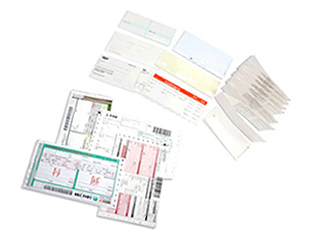 The first step in sticker printing is the choice of raw materials. The quality of the material determines the quality of the final product. Then, before printing, after the customer communicates, understand what the customer wants, and then start the choice of the material, which is one of the most important parts of the printing. Finally, the choice of equipment, according to the actual situation to select the right equipment, help to improve the efficiency of printing. When we are working, we use the most stationery, in addition to pens, it may be convenient stickers, it is one of the stickers. Its appearance has made our work efficiency improved, so we can specify the information of that position as long as we stick it. And do you know what equipment is used for sticker printing? Now the stickers mostly adopt not dry glue, so the machines are generally contain this technology, if a firm size is not large, you can buy some small printing machine, but as for what brand or that which is a type of words to get online search, because each type corresponds to the people or the manufacturers are not the same. Where will we often see stickers, shopping malls, stationery and so on, and now because of the needs of the people and that in order to attract people's attention in addition to various styles of stickers, then in printing stickers will be applied to what kind of material? For example, we often see a child's kind of stickers, this sticker will use PET, this material can be waterproof, non oil and other characteristics. 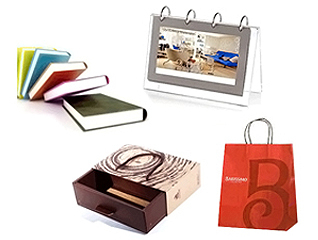 There are PVC, copper, paper and so on, different material, produced by the stickers attributes are different. Stickers made of coated paper will be applied to labels on household appliances and so forth. If you want your machine to have a long life, you must make regular checks and daily maintenance, and only if you do so can you ensure that the machine's life span is extended. Today, for example, the daily maintenance of a sticker press is, first of all, to carefully observe the damage of the parts before each use, and to stop the work as soon as it is found to be damaged. Also, when the machine is working, remove the surrounding obstacles. Then the printing machine is regularly checked, for example, for its maintenance, some machine parts need to be replaced, or add oil to the machine and so on. PVC you should have heard of or read it in your life. It usually appears on some plastic parts. 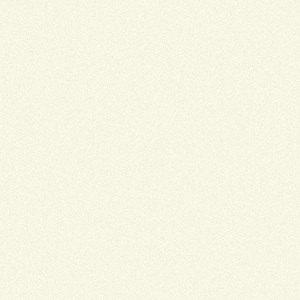 It has many unusual physical properties, so it is widely used. It's also used in print labels. So what kind of sticker is it on? Because PVC is a major component of making plastic, so when used in the production of stickers on the sticker will make waterproof, oil affinity, and this kind of stickers basically will be used in children's stickers or some to do waterproof, oil proof, stickers. 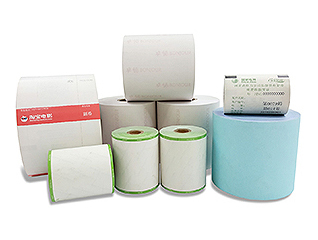 Use PVC material as the raw material of sticker, make the length of label become more durable. The invention of stickers doesn't know where it came from, but what we know is that its invention makes our life easier, and kids are happy to see stickers every time. Because stickers colorful, cute attracted them, and for young people, it is a very popular single product, its emergence makes us more convenient in learning and working. The label printing industry is also growing, so there are more and more fancy stickers to attract more people to like it. Stickers, a timeless stationery, is not just because it's powerful, but also because of its appearance. If you want to develop an industry, you must be aware of the development prospects of this line, if the industry has no objective prospects, then you have to choose to give up, otherwise, the ultimate loss is yourself. Now let's take a look at the future of the sticker industry, and see if it has the potential to develop. The discovery is the source for accidental stickers, but the birth of the stationery can bring change is not the same, if you want a foothold in this industry inside the first to put up the quality of stickers, or raw materials to choose the good, there is a sticker of force to do so. Then repeat painting more and more. Then, like now a few years ago, so some manufacturers for their home equipment will save the province, that today we look at second-hand sticker printing machine for manufacturers, whether it is worth buying? Label printing machines are generally used printing machine for small, if you can ensure that their purchase channels are you very familiar with and understand the performance of the machine and whether it is damaged if you can go to the purchase of second-hand machine. But if you don't know what the machine really is, then you don't want to buy a second hand, because you can't make sure that the machine you bought is working properly, and so on. Now a lot of things people need to know exactly what the price is determined by, which shows people's shrewdness. So let's talk about the price of sticker printing today, and what we see in our lives is stickers. And each sticker has its own style, this is the price of the sticker printing decision. There is the complexity of stickers, for those painters are very fine, then those will be higher than the average price. The function of stickers makes people's life more convenient, with small stickers can record the things that need attention. Now people are focusing on the quality of the material, because the quality of good things painted durable, so some people will think that the high price of the goods must be of good quality and low price if certain quality is low. This idea is wrong, so we often come into contact with the stickers, stickers in the printing process in which one step is to determine the quality of stickers? It is the selection of raw materials, and the material is doomed sticker printing equipment and the quality of the printing efficiency is doomed stickers. Some manufacturers in order to make more money will use some of the raw materials is poor, not only for their manufacturers have a bad reputation but also to make their business more and more bad manufacturers. When you choose a factory you by what criteria to select the company? 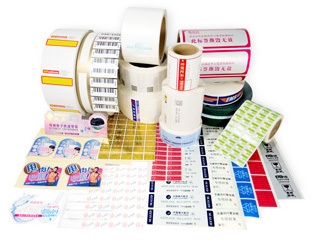 Label so that more people invented life more convenient, of course, there are different kinds of labels, so how do we choose sticker printing factory? When we need to choose from a wide range of which is the first word of mouth good manufacturers, only this is to see the factory scale, the size of your mind whether it meets the requirements. When marked several factories will be from the design there is a price to make the final decision, good design and reasonable price is one of the last people to choose the standard factory. Labels, one of the stationery that we can't get away with, there are many things that belong to the scope of the labels, you know what it is? And now let's see what the range of acceptance of the sticker is. First, we often see some children stickers, sticker etc. These are our regular contact stickers, then there is a car outside the stickers, stickers and so on. Convenience paste brings convenience to our life, while some decorative stickers bring more patterns to our vision, which makes our home and car more beautiful. The existence of stickers let us feel the small things in life, also have their own infinite function. The label has been applied to many places, but also be divided into many kinds, in different places will because of this and labels on form, specifications are required. So we are familiar with it, what is the sticker printing technology? In fact, its printing technology and common technology, but more beautiful in color colorful. There is stuck on the side, most now are used in adhesive, this glue is the advantage of the sticker off there will not be obvious stick mark, it will not look ugly. Now more and more stickers style, from children's toys stickers affixed to the sticker to the convenience the appearance of the car, and so on. Sometimes, we need to buy some labels to decorate because of life needs or work needs, but when we do not need them, tear them down, and then there will be sticky marks. Today, printing stickers manufacturers will tell you how to get my stick mark, the first method is to use alcohol, industrial or medical alcohol, poured on the cloth in place to wipe back and forth. The second is the use of hand cream, this is amazing! But the effect of this method is slow. The third is a water wash, a wash of water which does not require, as long as the resurrection of the water. Now has many kinds of stickers, sometimes not the same sticker applied to the printing mode is not the same. Now we mostly use self-adhesive stickers, now we look at the printed stickers stickers. This material has appeared in the last century in 30s, because of its performance the general label is better, the usage rate is getting higher and higher. The sticker is a large range of words, it can be divided into several types, each of which are applied to the places are not the same. For example, in the paper, the sticker basically will be used in we shower gel, shampoo, skin care products on the packaging. No matter where we can see the labels, but it also has several printing, today we will introduce the sticker printing in the printing screen printing method. The application rate of this method of printing in label printing is the most extensive, which is characterized by the color is deep, and the printing press in the figure will be relatively small. This device will of course because function is not the same and determines its price, and now many manufacturers will use some of the relatively low price of printing equipment to produce another range at the same time the printing function, printing out the effect and can not achieve fine. So the choice of printing factory very important. Why do people want to read stickers? Why do we want to read? Reading can make people grow and make people go on. Reading can increase the inner temperament of a man. Young and beautiful is just a moment, not long, we need to use knowledge to arm ourselves in order to improve ourselves. Youth will eventually be replaced by aging, and temperament is an inner thing. Temperament is the other people can not take away, it is self-cultivation, everyone can cultivate their own temperament. A person's temperament is a person's charm. We can have many ways to improve our temperament. Such as reading books, playing the piano and so on. But in all the ways, reading is undoubtedly the most convenient and quick way.